This page covers the Dean and Churchward designs, and doesn't attempt to cover earlier locomotives. 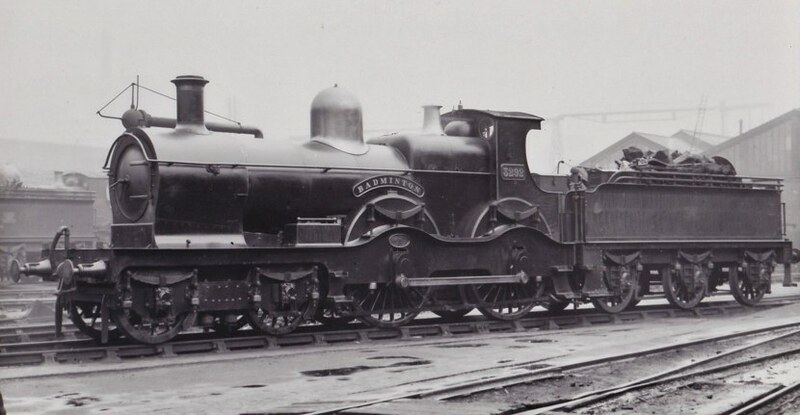 They are probably amongst the most confusing of GWR types since under Dean and Churchward a kind of mix and match approach was adopted and classes merged and separated, with locomotives being rebuilt and changing class, but not necessarily number, with different designs of boiler. Whereas with the large 0-6-0 tanks one can identify a sort of merging to a single final configuration, nothing of the sort happened with the 4-4-0s. A curious feature of their large engine policy was that the GWR scrapped its express large-wheeled 4-4-0s very early – in the late 1920s and early 1930s, including the only modern inside frame 4-4-0 class, the Counties. At the same time the Southern and LNER were still building more 1. The mixed traffic 4-4-0s, on the other hand, lingered on until into the 1950s, and one gains the distinct impression that the Western never really worked out what they wanted to replace them with! When a major overhaul was due the Great Western would dismantle a locomotive virtually down to its component parts 2. The boiler in particular would take longer to repair than the rest of the locomotive, so by the beginning of the 20th century an alternative boiler would be fitted as soon as the rest of the locomotive was ready in order to bring the locomotive back into service. Because of the interchangeability of boilers this boiler might well not be the same design as the one that came off. 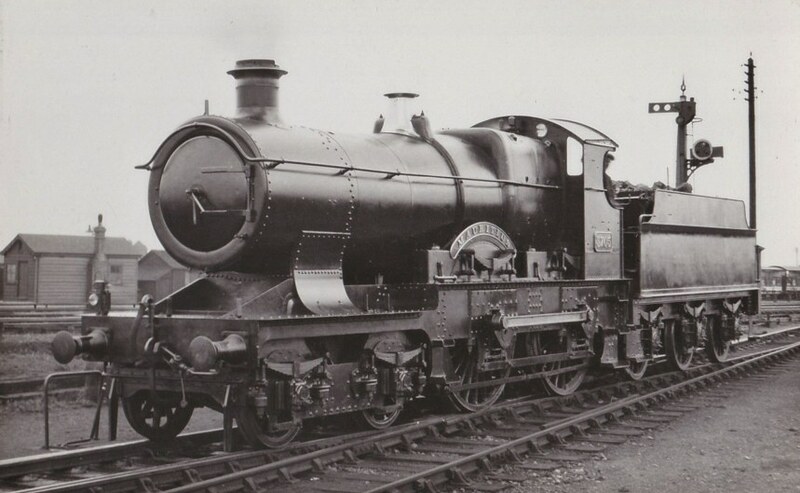 In the case of the 4-4-0s there were different locomotive classes which had common chassis designs and were only really distinguished by the boiler class used, and conversely the same boiler class could be used with quite different locomotive classes. Within classes, sub classes and the like the 4-4-0s can be arranged by wheel size and boiler size. There were five sizes of boiler, and large (6'8½") medium (5'8") and small (5'2") wheels and different classes had different combinations. There were also variations in frame design, not to mention a good deal of reinforcement over the years, although one could make a sweeping generalisation that none of them were ever really strong enough. The RCTS volume on GWR 4-4-0s 3 lists over 50 variations in boilers used on the classes mentioned in this piece. However, for our purposes we can list six basic 'classes' 4 of boiler used on them. 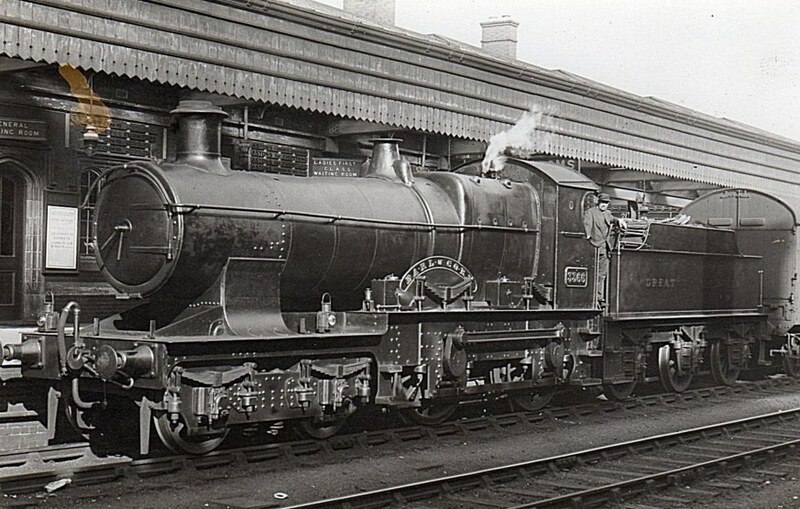 N Duke 11' 4'5" 5'1"
P Dean Goods 10'3" 4'5" 5'4"
W Badminton 11' 4'5" 6'4"
Boilers seem to have been the subject of continuous development, especially during the Churchward era. 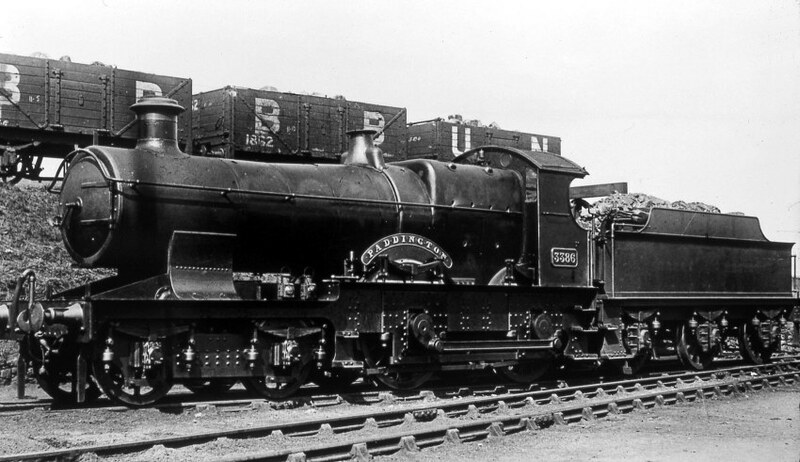 The 4-4-0 boilers were among the types that Churchward worked on most while he was creating his standard boiler style. The early standard boilers about the turn of the century had parallel barrels, not tapered: the taper boilers were introduced as part of this development work 5. Boiler pressures increased over the years too, from 150psi on the early Dukes to 200psi on the later standard boilers. The first Standard 2 boilers had a parallel barrel and a significantly raised belpaire firebox. 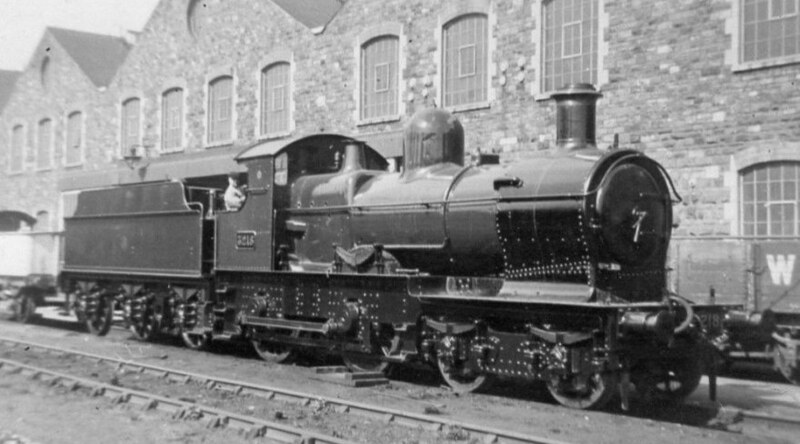 Apart from the firebox height the dimensions were similar to the Duke type. There don't seem have been any built with domes. By 1903 all new Standard 2 boilers were tapered. The only other major changes in the Standard 2s were the introduction of superheating from 1910, and topfeed soon after. The Standard 4 was the largest boiler used for 8-wheeled engines: effectively an enlarged version of the Standard 2, with both a wider barrel and a deeper firebox. Class N boilers had round top fireboxes at first. Early belpaire boilers had fireboxes raised a few inches above the barrel and a number of these were domeless. Otherwise these boilers always carried large domes. The later boilers all had belpaire boxes with the top of the barrel and the top of the firebox level They started out at about 150psi, moving through 165psi to 180psi at the end, and were later superheated. Class P boilers were domed parallel boilers and were used on the larger pannier tank classes as well as the Dean Goods. 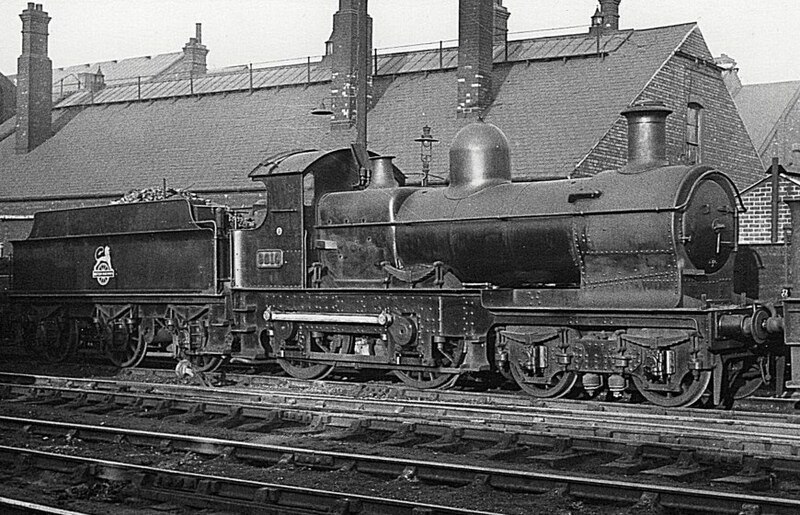 The Class W boiler used on Badmintons in their early years was a precursor of the Standard 2, of similar overall dimensions, but with a shorter firebox. They all had belpaire fireboxes – the first to be used by the GWR – and came in both domed and domeless configurations. Frames always seemed to be a source of problems with these locomotives, and were frequently strengthened during the course of their careers. The 'normal' footplate height was too low to clear the outside cranks, so had to be raised. Locomotives built under the Dean regime had curved frames, rising in an elegant curve up and down over each wheel hub, whereas in the Churchward era they were straight, with a single arc taking the footplate up to a higher level over the driving wheels. Many Dukes upgraded to de Glehn bogies, but some did not. Badmintons and Atbaras tended not to change bogie type in their lives. Bulldogs featured a mixture of types, except for the final 'Bird' series. Dukedogs usually featured whatever came with the constituent Bulldog chassis, but it is possible opportunity was taken during the Dukedog builds of using the more modern bogie style. The 4-4-0 classes were significantly affected in the renumbering of 1912 17, because, as will be seen, the numbers had got very confused. Prior to 1912, the numbering scheme worked out by Dean allocated ranges to types of locomotive but successive batches were just added to the next available place in the appropriate range with no attempt to keep the various classes together. To make matters even more confusing, locomotives were rebuilt from one class to another with boiler changes without being renumbered. Under Dean's scheme 3201–3600 were allocated for 4-coupled tender engines. 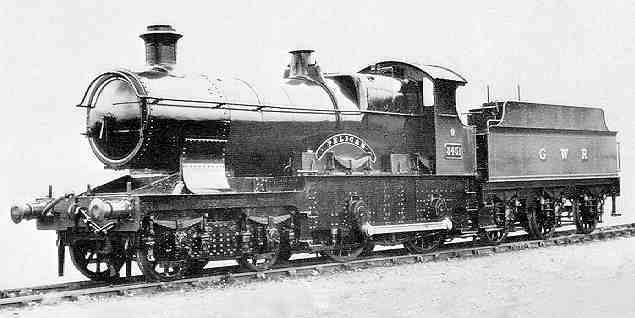 Various 2-4-0s occupied 3201–3251, and the locomotives we are concerned with started at 3252 with the Dukes. In 1912 the classes (with the exception of the 3521s which were left in a jumble) were brought together, but without the second digit grouping used later for classes with more than 100 engines, so, for example, Bulldogs were renumbered in 33xx and 34xx ranges. 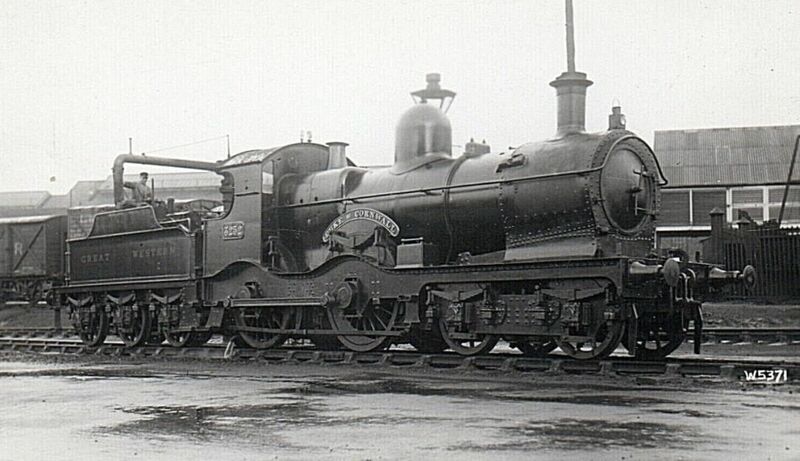 The surviving Dukes and the Dukedogs were renumbered in 1948 to clear the 3200 range for the 2251 class. Some of the Bulldogs were also scheduled to be renumbered, but were withdrawn before the numbers were needed for new 94xx tanks. 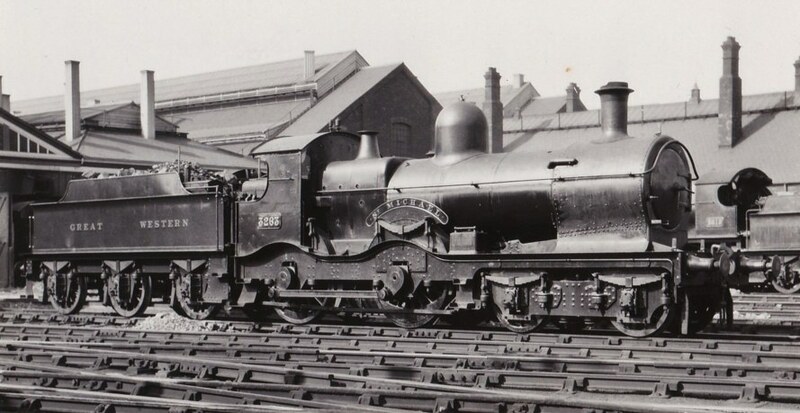 The 3521 class had perhaps the most convoluted modification history of any GWR class, and in their original form were arguably the worst locomotives ever built in any numbers in Great Britain! They were built as 0-4-2 tank engines and had a short 7'6" coupled wheelbase, and then a 10'6" gap to a trailing wheel which, according to every source I have seen 6 made them very reluctant to stay on the track. A very short wheelbase trailing bogie was then added, which made little difference and yet 20 of them were built. A further 20 were built as convertible broad Gauge 0-4-4Ts and then converted to the narrow gauge. So in 1899 these hapless machines were taken in hand and rebuilt to a quite astonishing extent: they were turned into 4-4-0 tender engines with new frames, bogies, and in many cases boilers too. They were also divided into two groups, 26 with P Class (Dean Goods) boilers, and 14 with the new and larger Standard 3 type. The bogie wheelbase was 5'6" with 2'8" wheels, the driving wheelbase was 8'6" with 5'2" wheels, and there was 7' between the rear bogie axle and leading driver axle. The smaller boilered engines started with round top fireboxes, but development of boilers was in full swing during their lifetime. They received Belpaire fireboxes, in most cases superheating and a couple with topfeed in the same way that Dean Goods and large 0-6-0 tanks with the same class boilers. They had the same large domes as other classes with this boiler design. They were withdrawn in the late 1920s and early 1930s. The large boilered variety were (re)built with early Standard 3 boilers with domeless parallel barrels and a high raised belpaire firebox. They also followed the normal line of boiler development, gaining tapered boilers with topfeed, and in most cases superheating. Again they were withdrawn in the late 1920s and early 1930s. Some authorities 7 are very scathing about these locomotives, but they did run a normal lifetime – over one million miles in some cases, so they must have been considered worthwhile in their final guise. Curiously they were not renumbered in 1912 – one would have expected the two sub classes to be separated as happened with the rebuilt Dukes. Whereas the 3521 class was very much of its own, there was much commonality between the large and medium wheel classes. These all had the same chassis dimensions, a 6'6" bogie wheelbase, 8'6" driving wheel wheelbase and 7'3" between trailing bogie and leading drivers. There were three basic frame designs used across the medium wheel classes, but as we shall see these were interchangeable. The Dukes were pure Dean Locomotives and had curved frames. 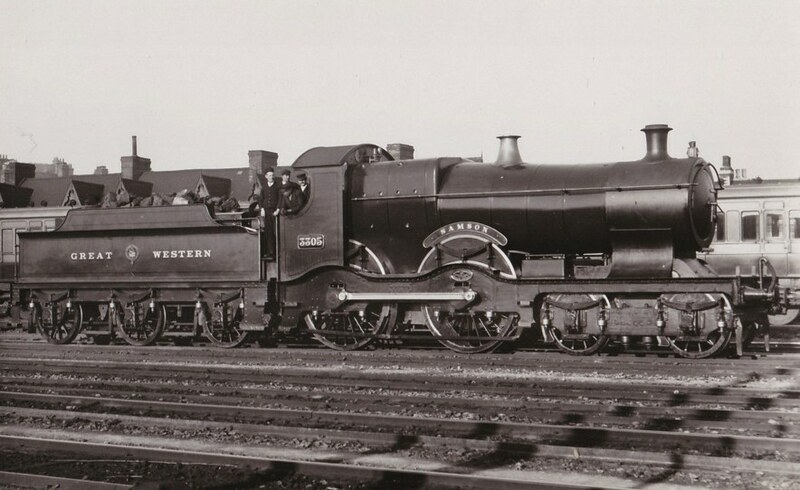 3252–3291 were built between 1895 and 1897, and 3313–3331 in 1899. Nineteen (or 20 if you count 3312 Bulldog herself, which was never really a Duke) apparently selected more or less randomly were rebuilt as Bulldogs between 1902 and 1909. In the renumbering those not converted were given 3252–3291. Boiler variations have been noted above. New standard domed Belpaire (type B4) boilers began to be fitted from 1903. The last of the roundtop firebox boilers was removed (from 3279) in 1917. Ten engines carried domeless boilers with a raised Belpaire firebox (type BR0) at various times. The last of these was removed from 3278 in 1929. Dukes acquired superheating from 1911 and some had topfeed from 1913. In the early days some Dukes had straight nameplates on cab or boiler sides. A good number lost their names over the years, some because the names clashed with the themed names of new classes, and some because they were supposedly being mistaken by passengers for train destinations! Most but not all acquired wider cabs, which concealed the rear wheel springs. Part of the frame reinforcing included a conspicuous tiebar between the hornstays. They acquired piston valve cylinders in place of slide valves from 1915 on. ATC was fitted between 1930 and 1931 to all locos except 3252/7/9/62/77. Withdrawals started from 1936, and 11 survived into British Railways ownership. Even without considering the Dukedog rebuilds the Dukes were longer lived than their successors the Bulldogs. No real replacement for the Dukes/Dukedogs with their wide route availability was ever built. The heavier 4300s and Manors took over much of their work, but when it came to yellow restricted routes only the 2251 0-6-0s and some of the lighter tank engines were alternatives. Twenty-nine were rebuilt as Dukedogs and in 1946 the survivors were renumbered into the 90xx series to make space for 2251s in the 32xx ranges. 3287 'St Agnes' in near original condition, with straight nameplates, round-top firebox, narrow cab and side clack valves. Chimneys on the Duke were originally set in a rear position, but were later moved forward. It is paired with a 2500g tender, rather than its initial 2000g. 3316 'Isle of Guernsey' at Westbourne Park shed c 1900, with a belpaire firebox. It would be rebuilt a couple of years later as a Bulldog and renumbered 3312. 3252 'Duke of Cornwall', running with a 2000g tender. Date unknown, but probably post-1925, after blanking of the cabfront portholes. 3283 'Comet', with its narrow cab (which it retained throughout its life), topfeed and cast tapered chimney, and paired with a 3000g tender. Plain section rods and tiebars between the hornguides were common in later years. Small footplate steps were also fitted (from an unknown date). 3263 'St Michael' at Swindon, with a cast tapered chimney, and paired with a 3000g tender. The lower type of from vacuum pipe was the norm for the class in later years. In 1929 3265 was in the workshop with rather sorry looking frames 8 and was rebuilt using a set of Churchward design straight frames from Bulldog 3365. The object of the exercise was to keep the Duke in traffic, rather than the Bulldog, which was less in demand. Keeping the identity of the Duke rather than retaining the number that went with the frames avoided the sort of numerical confusion that happened with the Duke to Bulldog conversions. Twenty-nine more rebuilds of Bulldog frames and Duke boilers followed in 1936–9. The style of sandboxes and bogie frames was dictated by the particular donating Bulldog frame. 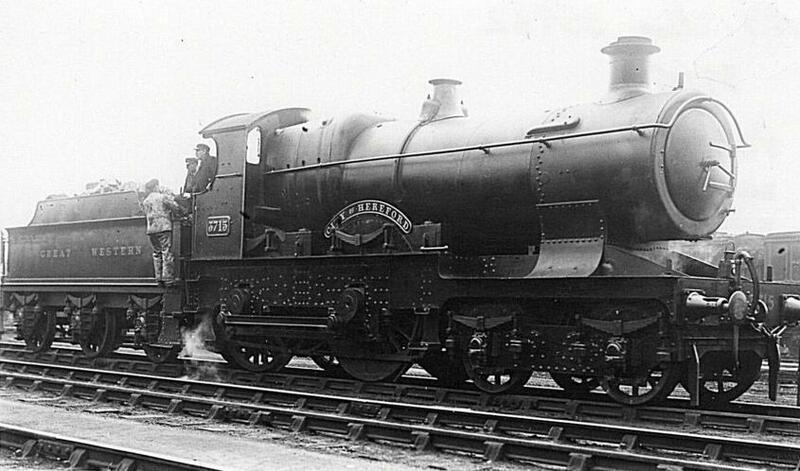 The designation of these engines as a new class was perhaps something of a bookkeeping exercise 9, but Collett elected to give the 'new' class new names, and picked Earls as the series type. The story goes that some of the noble Lords had made it known that they would not object to seeing their names used on new locomotives, but that when they saw their names on these Victorian survivors they were unimpressed and the names were soon transferred to Castles. Cook gives the impression that this was Collett indulging in a little quiet personal humour 10. The Dukedogs all survived to British Rail, and 9017 is preserved on the Bluebell railway, where from time to time she bears her old number 3217 and/or the name Earl of Berkeley. There is no current Earl of Berkeley to object! Further notes on Dukedogs and their detail variations can be found here. 3218 ex-works at Swindon, with a topfeed. Behind it is one of the white-liveried DD1 diagram water tanks. 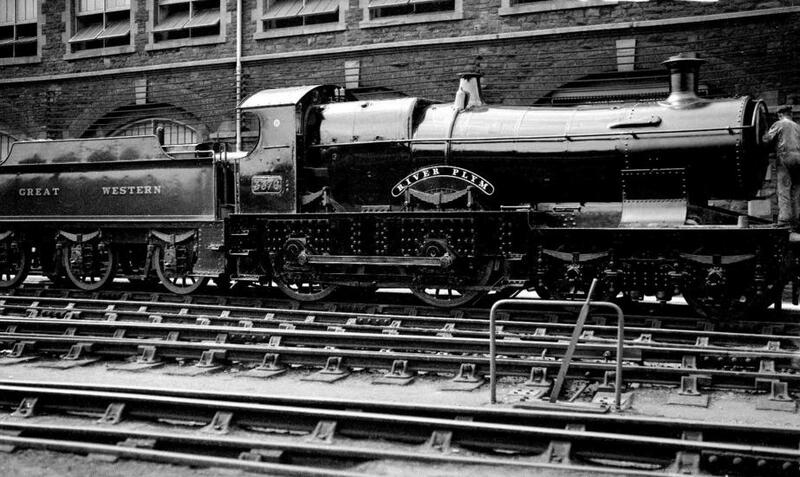 9010 at Swindon in 1953, in BR(W) black livery, with a red-background numberplate. It has acquired a whistle-shield, which was unusual for the class. The bogie is of the early swing-hanger type, inherited with the constituent Bulldog 3402 chassis. 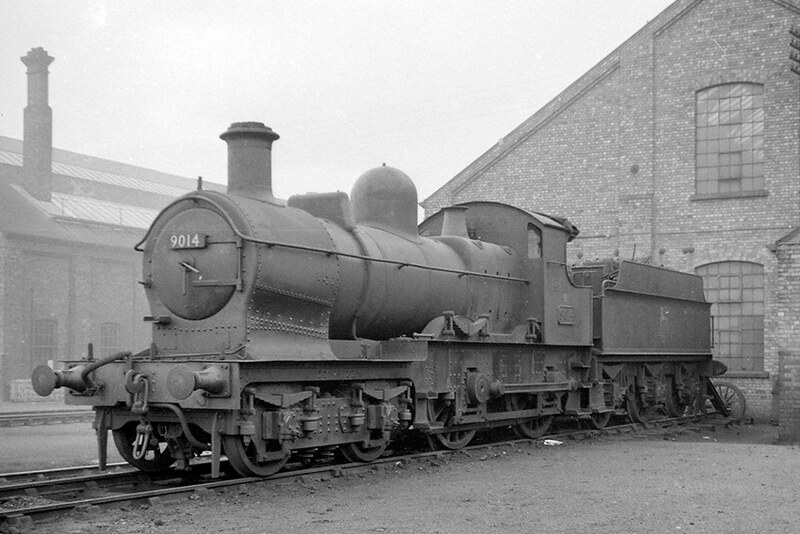 Bulldog 3312 was built amongst a batch of Dukes, but given a slightly larger boiler as well as a few other experimental features. At the end of 1899 the first batch of Bulldogs, 3332–3352 was turned out after the last Dukes left Swindon, and no more Dukes were built. Unlike the Dukes, which had screw operated reverse, the Bulldogs were built with steam reverse 11, although the final 'Bird' series reverted to screw reverse. Bulldogs were built with steam brake, but the final 'Bird' series were fitted with vacuum brake. After the first twenty the remaining Bulldogs were built with straight frames. Batches built were 3353–72, 3413–32 and 3443–72. The earlier Bulldogs, rather than having the later standard style standard names on the splashers, had oval combined number and name plates on the cab sides, although some conversions retained the straight Duke nameplates for a while. The first 80 were all built with parallel barrelled No 2 boilers, and some of these continued in use, swapping between engines in the normal GWR style, until about 1913, although it was rare for an engine to be fitted with a parallel boiler after receiving a tapered one. As with the Dukes they were upgraded with topfeed, superheaters and piston valve cylinders between 1910 and 1925. Not all received the piston valves before scrapping though. In the renumbering they were given 3300–3340 for the curved frames (the converted Dukes starting at 3300) and 3341–3440 for the straight frames. Like all the outside frame 4-4-0s they received much frame strengthening over the years including the tiebars mentioned for Dukes. 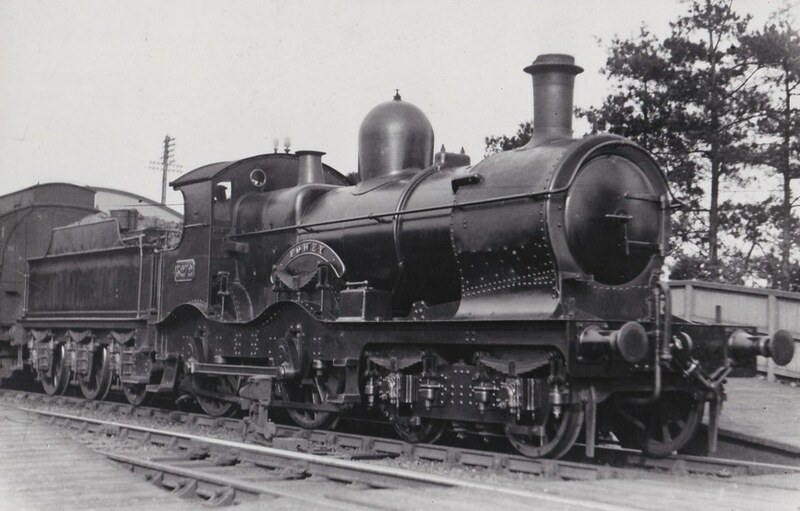 During the 1920s some Bulldogs, both straight and curved frame, were fitted with the smaller and shorter Number 3 boiler as there were a good supply of these after the 36xx 2-4-2Ts were withdrawn, but Number 2s were in great demand. In the end no less than 160 – including the Bird series below – were built or rebuilt, making it one of the larger classes on the GWR. However, the very successful and more versatile 4300s took over much of their work, especially after the Hall class was introduced which in turn released the 43s for lighter work. Withdrawals started in the early 1930s, including the Dukedog conversions, and only 29 survived to British Railways. All but a handful were gone by 1949, the last three surviving until 1951. In their last years they did little work however, and were often stored out of service 12. In original condition with a parallel boiler and early cast tapered chimney, 3355 'Camelot' (later renumbered 3343 in 1912), at Bath. 3386 'Paddington', paired with a 2500g tender, probably at Reading shed, in the early 1920s, and still with its original wooden cab roof. The nameplate was removed in May 1927. Bulldogs worked a lot of heavy semi-fast Paddington suburban traffic until displaced by Collett's large prairie tanks. 3376 'River Plym' at Swindon after a refit in 1926, where it has received a new steel cab roof and a cast tapered chimney. It is paired with a 2500g tender. 3366 'Earl of Cork', in 1920s condition. This loco had sandboxes visible above the frames. The name was removed in May 1936. Oval-nameplate 3344 'Dartmouth', shortly before its name was removed in November 1930 and replaced by a conventional-shape numberplate. 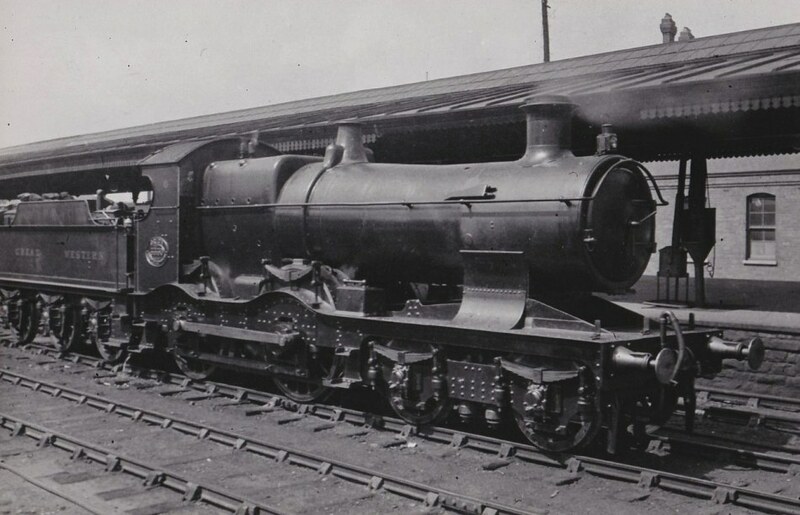 On the oval-nameplate locos (3320–3360), the shape of the cab cutout was slightly different to the later engines. This was to all intents and purposes a last batch of 15 Bulldogs built in 1909 with vacuum brakes and deeper and stronger frames, although they did revert to screw reverse. They were numbered 3731–3745 and renumbered 3441–3455. For most purposes they were considered part of the Bulldog class, changes and modifications were on the same lines, and no separate diagrams were issued after about the 1920s. All survived to British Railways, none were converted to Dukedogs, and the last few were withdrawn in 1951. Paired with an early-pattern 2500g tender fitted with outrigger handrails, 3743 'Seagull' in original condition, prior to being renumbered 3453 in 1912. This particular pairing with a steam-braked tender is probably an interim or temporary measure, other Birds having acquired vacuum-fitted 3000g units. It was one of the last Bulldogs in service. Bird series Bulldog 3451 'Pelican' after a post-WWII repaint, and paired with a Churchward 3500g tender. It was also one of the last Bulldogs in service. Unlike the medium wheeled engines there were variations in wheelbase among the large wheel classes, which will be covered under the individual classes. There was enough room for engines to swap class from time to time though. The Badmintons, like the Dukes, were built under Dean, and as built looked very much like a large wheeled Duke. 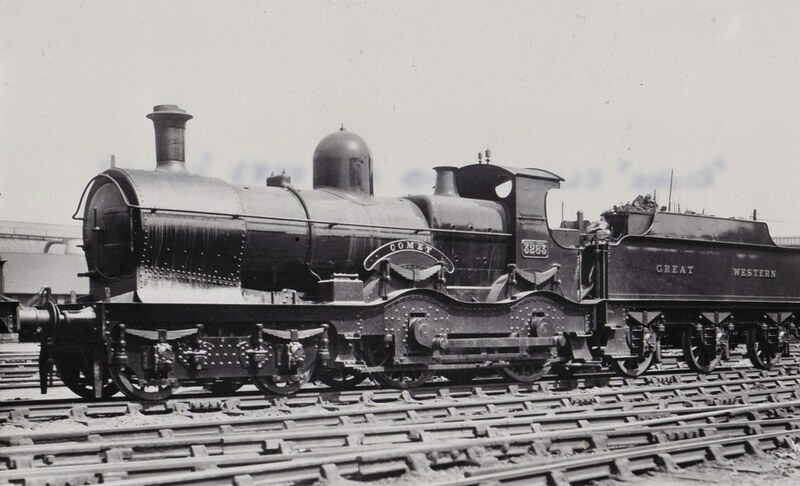 The 20 engines started life with domed boilers similar to the Duke ones, but with a longer and belpaire firebox (Class W). By 1913 all the Class W boilers had been replaced by Standard 2s. They had Dean style curved frames and were numbered 3292 to 3311. The leading bogie had a 7' wheelbase, there was 7'3" between bogie and leading wheels and a 9' wheelbase on the driving wheels, so they were a foot longer than the medium wheeled engines. In 1903 one Badminton, 3297 Earl Cawdor, was used for a quite extraordinary looking experiment 13. Influenced particularly by NER practice this engine had a huge (5'5" diameter) parallel boiler with a round top firebox and was the very antithesis of Churchward's ideas. It even had a NER style cab with double side windows. The cab must have been unpopular with the Western enginemen, because it was speedily cut down and then replaced with a skimpier western cab in 1904 14. The large boiler was given an extended trial, in use until 1906, but the results must have been negative since it was cut up the following year and no change in GWR design practice ensued. At the same time another Badminton, Waterford, was being fitted with one of the large Standard 4 boilers, and this must have been more successful since between 1905 and 1910 16 more of the class were fitted with these boilers, making them equivalent to the Cities. In 1911/13, however the Standard 4 boilers came off again and were replaced with Standard 2s: the heavier duties now being undertaken by the new 4-6-0s. 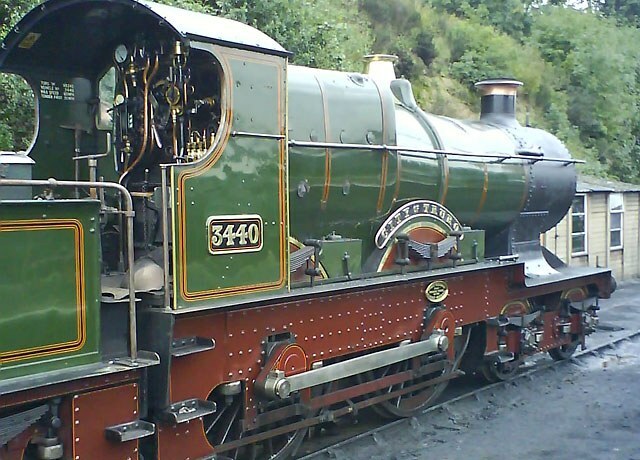 Having been renumbered from 4100–4119 in 1912 they now formed the foundation the 41xx class of medium boilered 4-4-0s. At this time they received the usual frame strengthening exercises, superheating and topfeed, and a little later piston valves. They were withdrawn in 1927–31. The Atbaras were almost straight framed Badmintons, but the length and wheelbase were changed. The engines were three inches shorter at the front end, the bogie was reduced to 6'6", the spacing between bogie and driving wheels increased to 7'6" and the driving wheelbase reduced to 8'6". Thus the engine was a foot shorter overall. They were turned out from new with parallel Standard 2 boilers. Forty were built in 1900/01 numbered 3373–3412. In their early days many had the sort of combined name/number plates described under Bulldogs. Like the Bulldogs they had steam powered reversing gear. Sixteen were built with piston valves, but this early implementation was not very successful and they reverted to slide valves. In 1902 3405 was rebuilt with a Standard 4 boiler, effectively the prototype of the Cities. Taper boilers came in from 1904 and all the parallel boilers had gone by 1910. 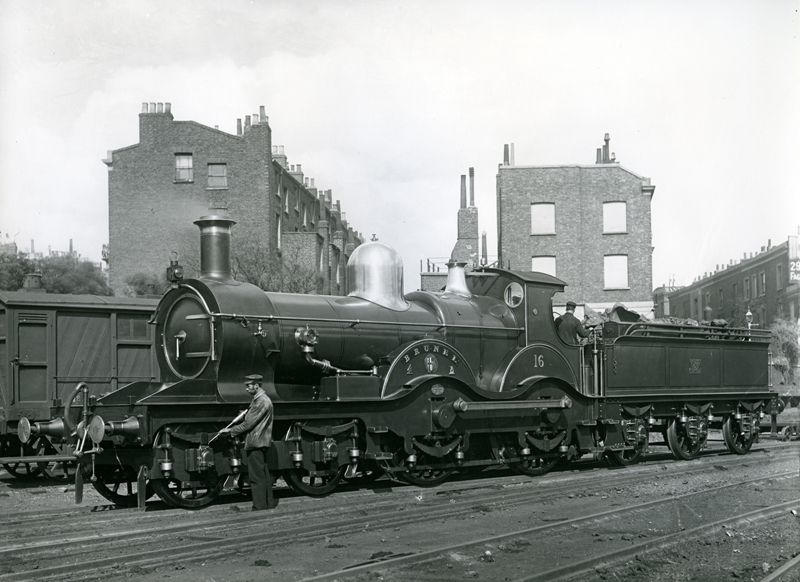 In 1907–7 3400–3409 were converted to City specification by being reboilered with Standard 4 boilers. In the renumbering they were allocated 4120–4148 (the discrepancy being because one was scrapped after accident damage and the conversions). Flower Class. This diagram shows the final configuration with superheating and piston valves. No separate diagram was drawn for the Atbaras. These were the deep straight framed variety of the large wheel 4-4-0s, built in 1908 with screw reverse. They were numbered 4101–4120, and renumbered 4149–4168, from which time they were effectively considered one class. The combined class received superheating from 1909–13, topfeed from 1911 and a new and successful design of piston valves from 1915. 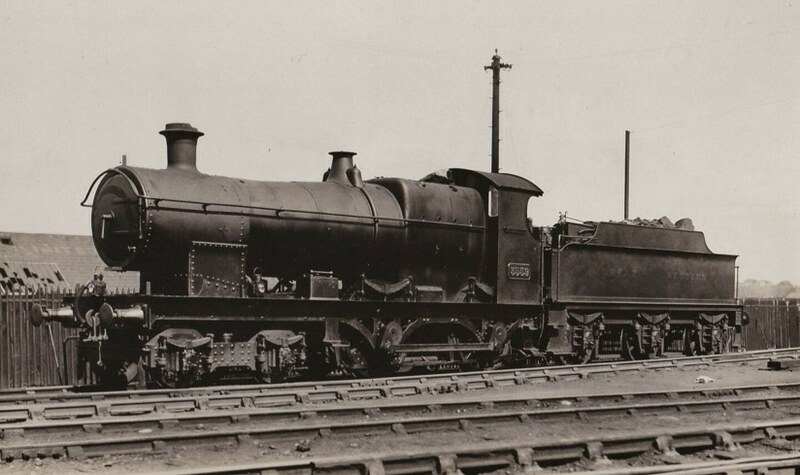 As has been mentioned they rapidly became redundant as the 4-6-0 express engines came into service, and all were scrapped between 1927 and 1931. 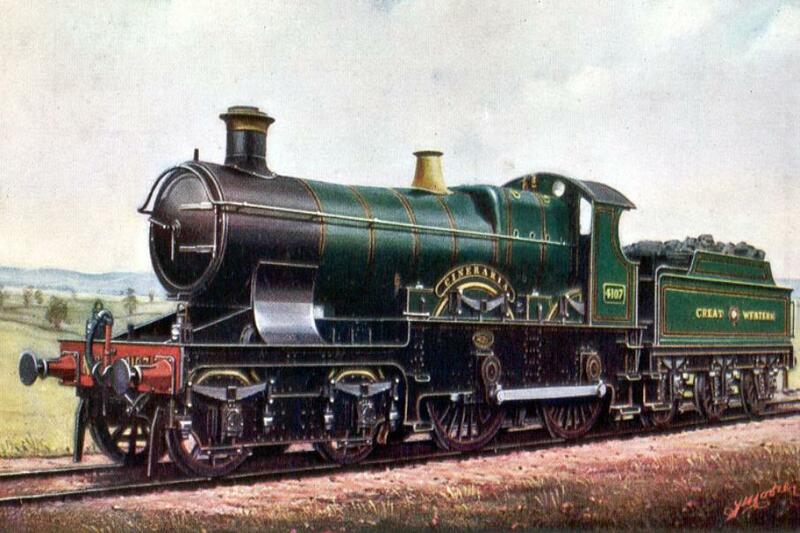 A coloured postcard view of 4107 'Cineraria' in its original form. It is probable that the indian-red colour given to the wheel inserts is an incorrect instruction to the postcard colourist. These four engines had a complex career. The four Armstrongs, named after perhaps the four greatest men of the early GWR, Brunel, Gooch, Amstrong and Charles Saunders, started out as nominal rebuilds of earlier prototypes, but probably very little of the original engines was used 15. 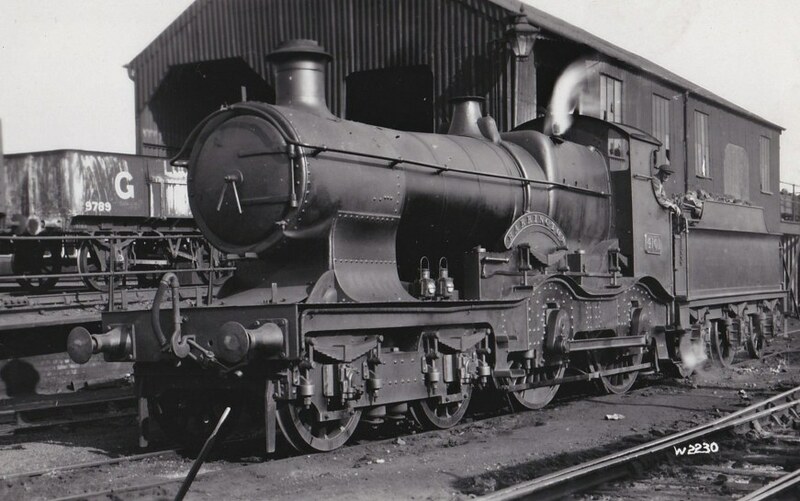 At this stage they were numbered 7, 8, 14 & 16 and were virtually 4-4-0 versions of the Dean Singles, with the same boilers and cylinders, smaller 7' diameter wheels and very handsome with it 16. 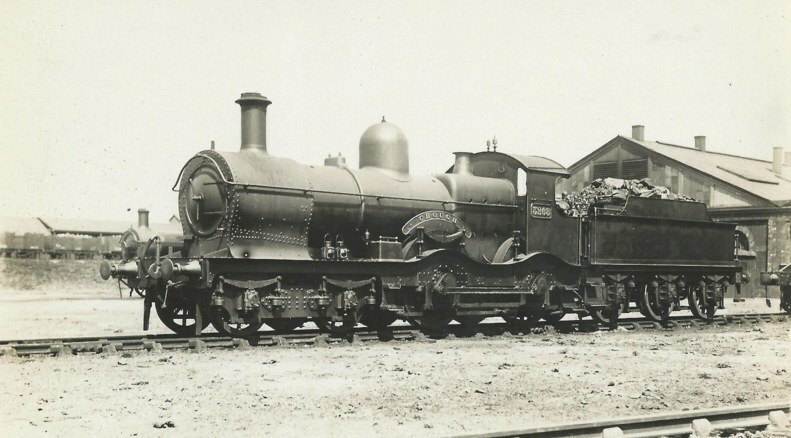 In spite of being amongst the earliest 4-4-0s their deep curved frames seem to have been the strongest of the outside frame 4-4-0s. In 1905–10 they were rebuilt with Standard 2 boilers and wider cabs, and then superheated. Between 1915 and 1923 they were rebuilt again and given standard 6'8½" wheels, superheated Standard 2 boilers with topfeed, and were renumbered in the 4169–4172 having effectively merged with the other express Standard 2 classes. 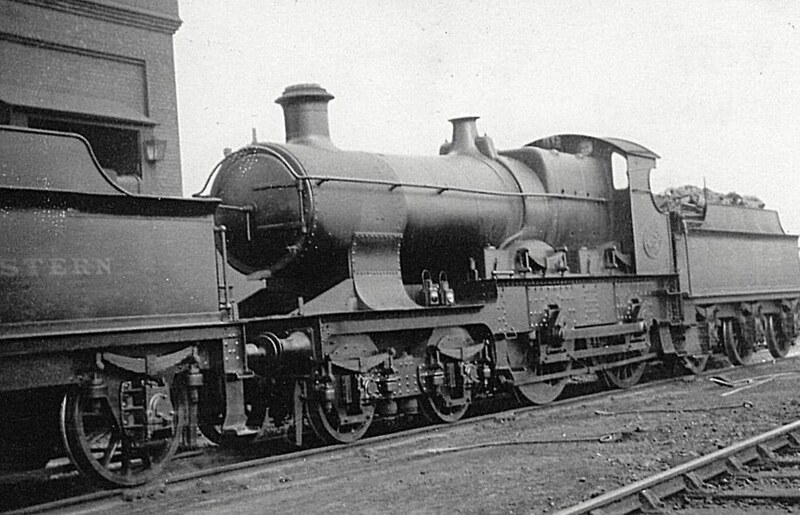 They were scrapped with the other 41xx in 1928–30. 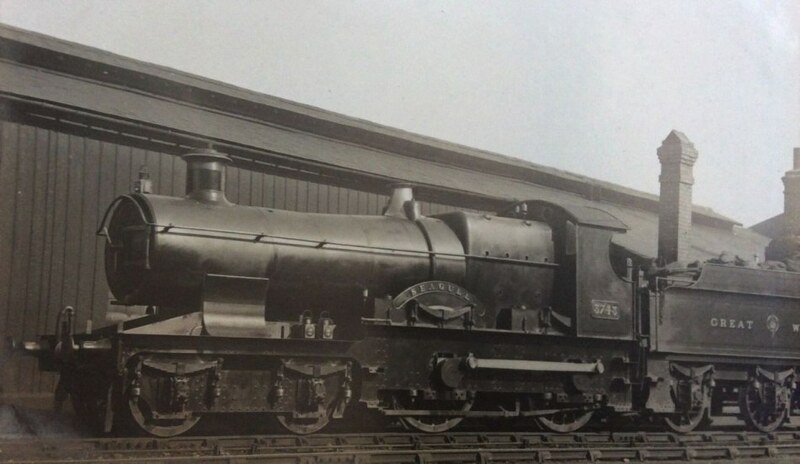 Following on from the prototype mentioned under Atbaras these were the Standard 4 boilered version of the large wheeled 4-4-0. The 10 Cities proper were built in 1903 with the same wheelbase as the Atbara. Here it's compulsory to mention that in 1904 City of Truro achieved enduring fame and unending controversy when she was timed at a speed in excess of 100 mph at the hands of driver Moses Clement. 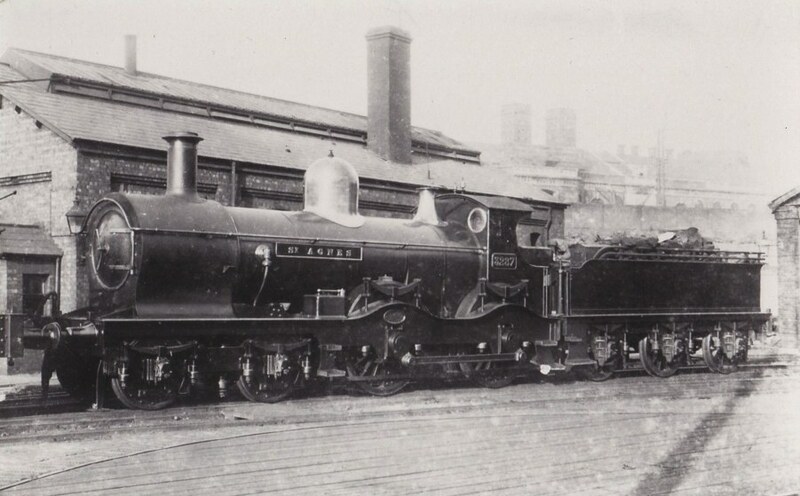 The class was expanded in 1907/8 by 9 more rebuilt Atbaras, and renumbered as 3700–3719. Superheating was fitted in 1910/2, topfeed from 1911 and piston valve cylinders from 1915. 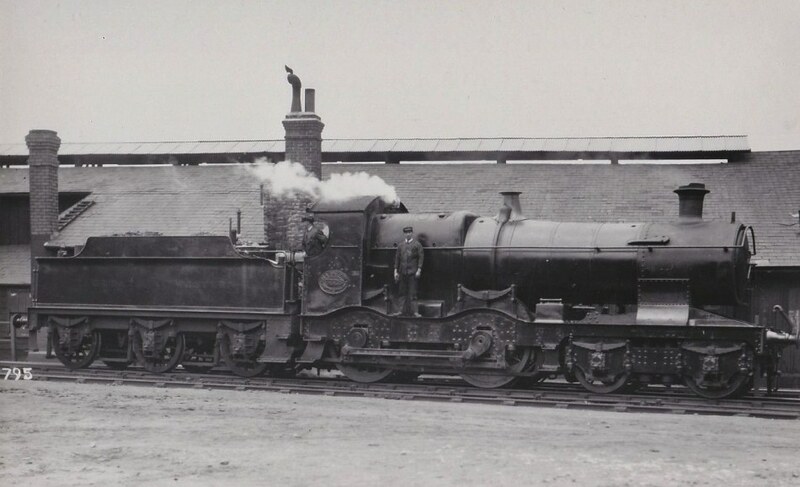 They were essentially rendered redundant by the 4-6-0s and were, with the exception of City of Truro of course, scrapped between 1928 and 1931. As noted above seventeen Badmintons temporarily joined the large boiler class between 1905 and 1913. It's surprising that these were not renumbered into the 37xx series – perhaps their reversion to Standard 2 boilers was long planned. Some were superheated whilst carrying the large boilers, but none received piston valves in that configuration. 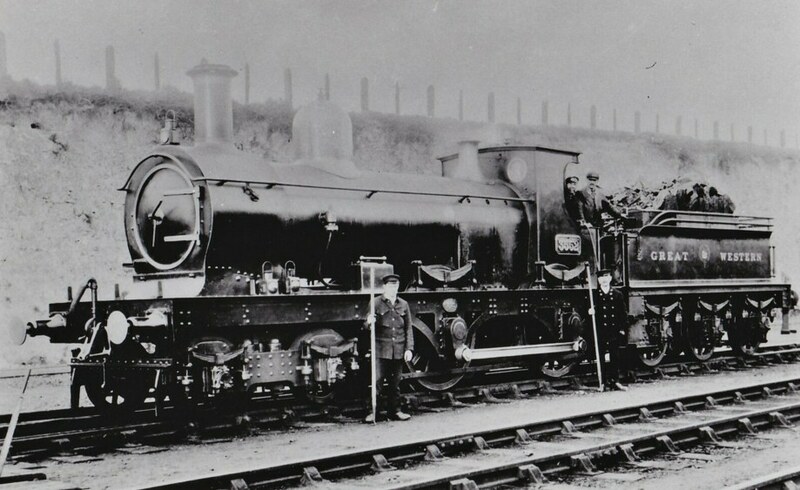 The Counties were the last new 4-4-0s constructed for the GWR. They were pure Churchward standard engines with inside frames and outside cylinders, so are outside the scope of this article. 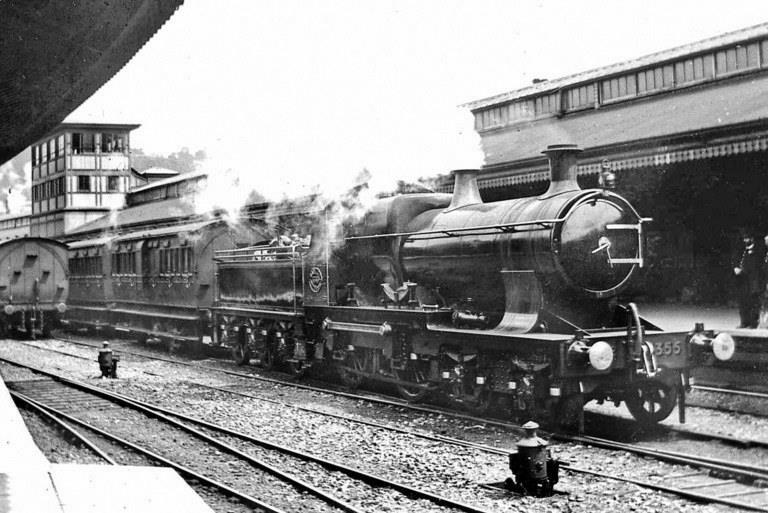 1 Southern – Schools Class from 1930, LNER Hunt/Shire class from 1927. 2 Swindon Steam 1921–1951, K J Cook, Ian Allan Ltd, 1974 0 7110 0511 7. p63 and on. 3 The Locomotives of the Great Western Railway Part Seven, Dean's Larger Tender Engines, N J Allcock, F K Davies, H M Le Fleming, P J T Reed & F J Tabor, The Railway Correspondence and Travel Society. This is the principle source for this paper. 4 The Locomotives of the Great Western Railway Part One: Introductory Survey, N J Allcock, F K Davies, H M Le Fleming, P J T Reed & F J Tabor, The Railway Correspondence and Travel Society. 5 A Pictorial Record of Great Western Engines, Vol. 1 Gooch, Armstrong & Dean Locomotives, J H Russell, OPC, 1999. ISBN 0 86093-398-9. pp156-177 provides many photos of this development work. 7 Great Western Locomotive design – A Critical Appreciation, John C Gibson, David & Charles, 1984 0-7153-8606-9. p60. I'm a little cautious in using and recommending this book as a source. While Gibson was there and had relevant training, his book is strongly opinionated and a number of his conclusions are at odds with other sources. 11 A Pictorial Record of Great Western Engines, Vol. 2 Churchward, Collett & Hawksworth, J H Russell, OPC, 1999. ISBN 0 86093-399-7. Pp 1–9 cover Bulldog development.